Yesterday after a long day at the catering kitchen, I decided to do a little something for me. I made my way over to Bartlett’s Farm, purchased a little blue quart container and walked through the strawberry fields. 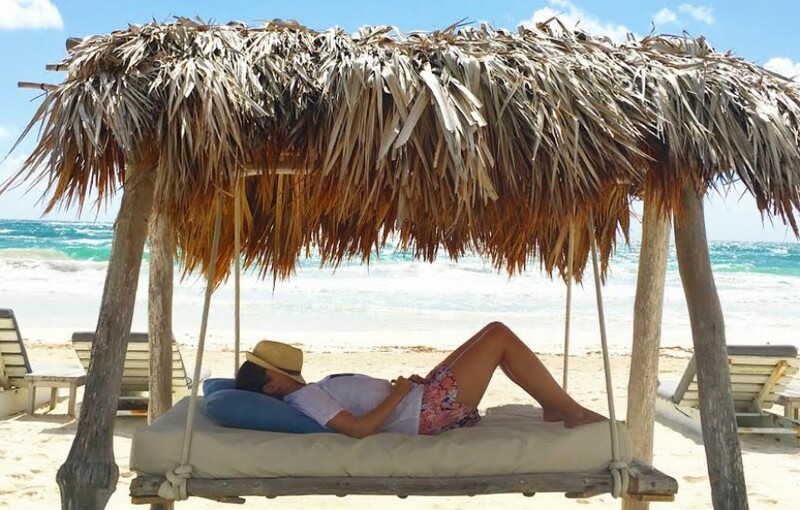 Item #1 on Summer Bucket List… done! I had originally planned to make strawberry jam but when I read all the fine print about canning sterilization, I thought to myself, not tonight. So instead, I braved the grocery store at 5:30 pm (to my surprise, the parking lot wasn’t complete chaos) and got myself a baguette, some goat cheese and organic baby spinach. 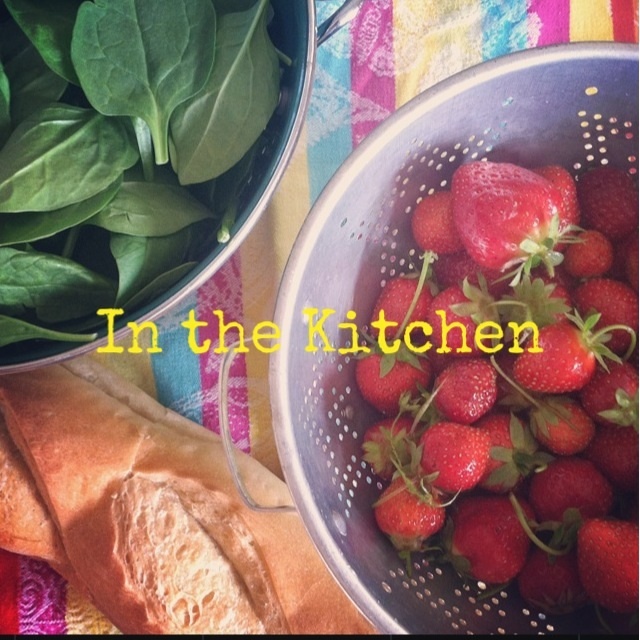 My thought was this: a simple spinach salad with fresh strawberries, cottage cheese and a little balsamic vinaigrette for dinner followed by a sweet crostini with goat cheese and balsamic macerated strawberries. So easy, so delicious. *Note: I made a very small batch. These measurements can certainly be doubled/tripled should you want to use the entire baguette. 1. Preheat oven to 350 degrees. Line a sheet pan with tin foil. 2. Cut 1/4 inch slices of your baguette on an angel, which allows for more surface space. 3. Place bread slices on sheet pan and lightly brush with extra virgin olive oil. 4. Cook in the over for about 10 minutes, until lightly brown and crunchy. 5. While the bread is cooking, thinly slice strawberries and place in bowl with 1 tsp. balsamic vinegar and stir occasionally. 6. 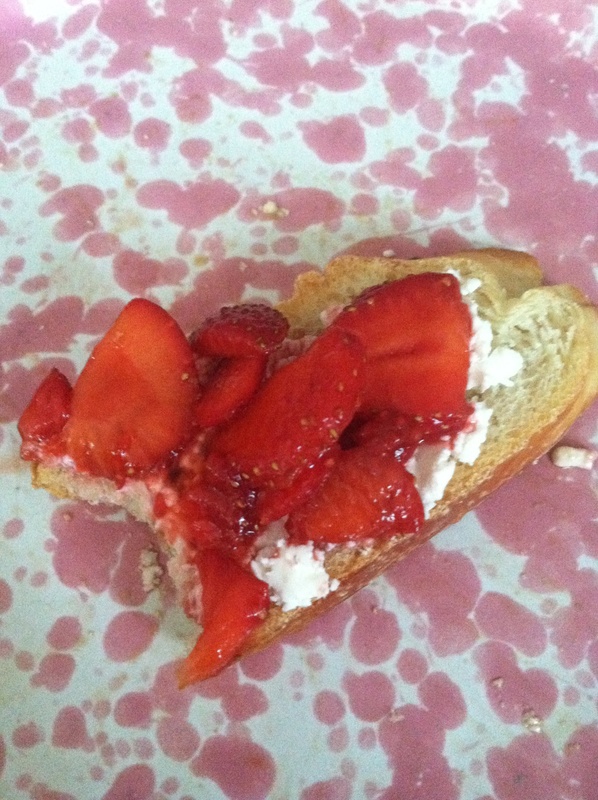 Remove the bread from the over, spread on a little goat cheese and arrange strawberries on top. And the good news, checked #2 off the Summer Bucket List as well. I’m on a roll!